I’m not a huge fan of the “Korean style” of making pizza. Sweet potatoes, corn, cheesecake, etc. No thank you. There are a few that I don’t mind like the bulgogi and bacon potato, but most of the others I could do without. When I was working at my last school, the were frequent pizza parties, and the students were always confused as to why I usually didn’t want to partake in he pizza that their teacher ordered for them. 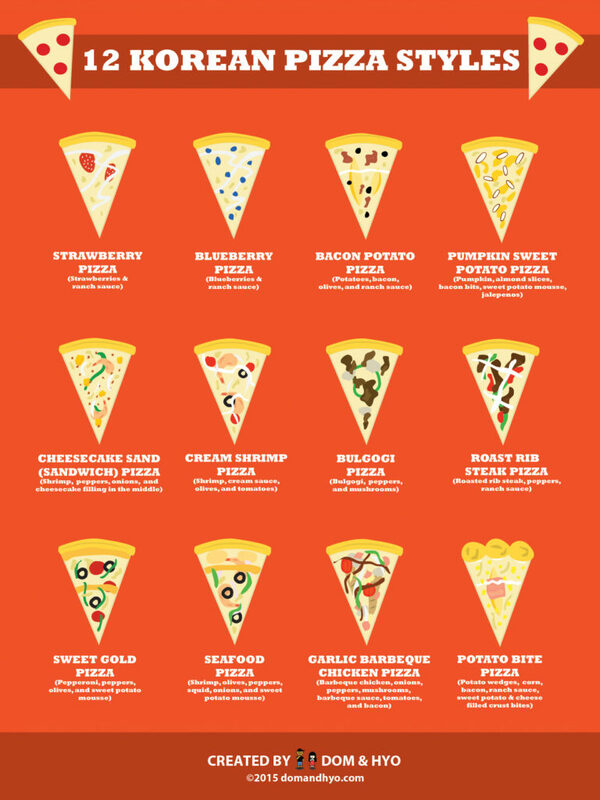 What’s your favorite style of pizza? To All People Who Share Content on the Net. Give Credit. It’s Not That Hard. I nominate you for a Creative Blogger Award! I blame Simon’s love of ranch, it’s finally consummed the entire penninsula. I’m not so sure about strawberry and blueberry pizza. I prefer mine savoury. C’ mon, Dominic. 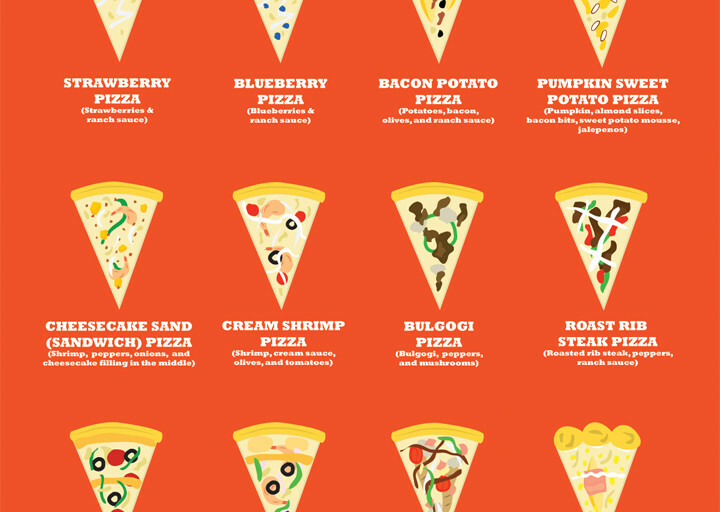 Not all the Korean style pizza slices aren’t bad. Lol not all but most of them I can’t eat. You get used to some of them though. Lol, blueberries and ranch sauce? What the….? But I’m curious about the blueberry and strawberry in that list. Does it taste like crepe? I’ve actually never had a crepe before so I can’t tell you. The blueberry one is slightly sweet though and actually not bad!